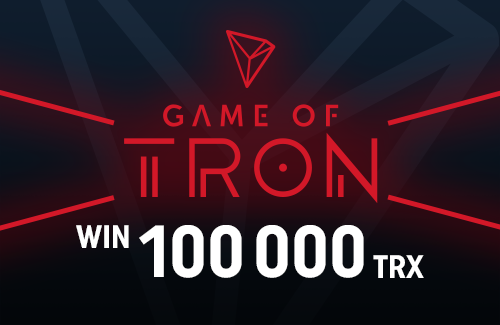 Contest on CoinDeal - win 100 000 TRX! Take a part in CoinDeal’s contest and win newly added cryptocurrency - TRON. Read rules and register on CoinDeal. The contest is created for CoinDeal’s & Tron’s societies. Take a part and prove that you are the one who knows this cryptocurrency the best! First of all, you need to be registered and verified on CoinDeal - our cryptocurrency exchange platform. Be sure you follow CoinDeal and Tron on Twitter, but we bet you already do that! Next step is to join our group on Telegram and Tron’s group. Joining our and TRX’s social media channels will make you always up-to-date with the latest news. If you already have a verified account on CoinDeal and have joined the mentioned above channels - we have a real challenge for you! have a verified account on CoinDeal. Don't have an account? Create now! take a quiz and get the highest score. Don’t waste your time, the contest lasts from August 30th (12 CEST) until September 6th (11:59 CEST). The winners will be informed via emails. Also, winners will be mentioned in our news.